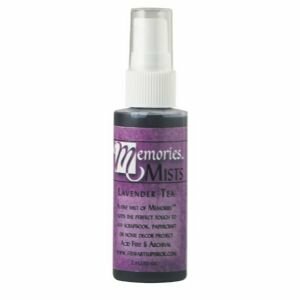 6 PACK MEMORIES MIST 2oz LAVENDER TEA Drafting, Engineering, Art (General Catalog) by STEWART SUPERIOR at Stickman's Blog. Hurry! Limited time offer. Offer valid only while supplies last. A fine mist of these inks add a gorgeous layer of color or iridescence to any fashion, art, or papercraft project. Acid-free and archival. 2 oz. A fine mist of these inks add a gorgeous layer of color or iridescence to any fashion, art, or papercraft project. Acid-free and archival. 2 oz. spritzers. If you have any questions about this product by STEWART SUPERIOR, contact us by completing and submitting the form below. If you are looking for a specif part number, please include it with your message.